From our main offices in Cleburne, Cain & Associates provides goal-oriented legal representation to individuals and businesses in the West Metroplex and other parts of Texas. Please add Voted #1 Law firm in Johnson County 7 years in a row. What separates our firm from others is that we offer the legal guidance of attorneys with significant transactional, negotiation and litigation experience, provided in a welcoming, community-first setting. We are a true part of the community — in fact, our founder, attorney Scott Cain, is the three time elected mayor of Cleburne, in addition to having a nearly 15-year legal career. We extend his commitment to the community through our legal counsel to the region's citizens and businesses. We handle a wide range of civil litigation matters for businesses in the West Metroplex and other parts of the Lone Star State. While we take pride in helping business owners and others navigate routine legal issues, we are especially known for providing strategic counsel in the face of complex litigation: business disputes, appeals and other matters requiring a more fine-tuned approach. When a client relies on our experience to turn uncertainty into relief, we deliver. Our firm also offers comprehensive guidance to Texans through the personal and often confusing process of estate planning and administration. We understand that one of a lawyer's chief duties is to offer clients peace of mind, and whether you need assistance drafting your estate planning documents or administering the estate of a loved one, we can guide you step by step. Learn how our attorneys can begin settling your legal matter. 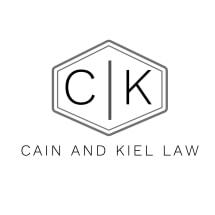 Contact Cain & Associates today.